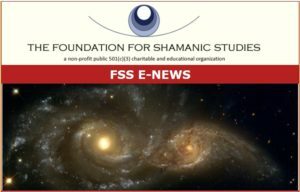 VIEW THE ISSUE—highlights of the Gathering of the Circle, January 2019 and links to videos; new workshop Shamanism for Inspired Local and Global Change; FSS Polestar (online or in-person shamanic training? ), and more. For issues (2017-present) visit the FSS E-News category. For back issues (2007-2016), visit the FSS E-NEWS archive.